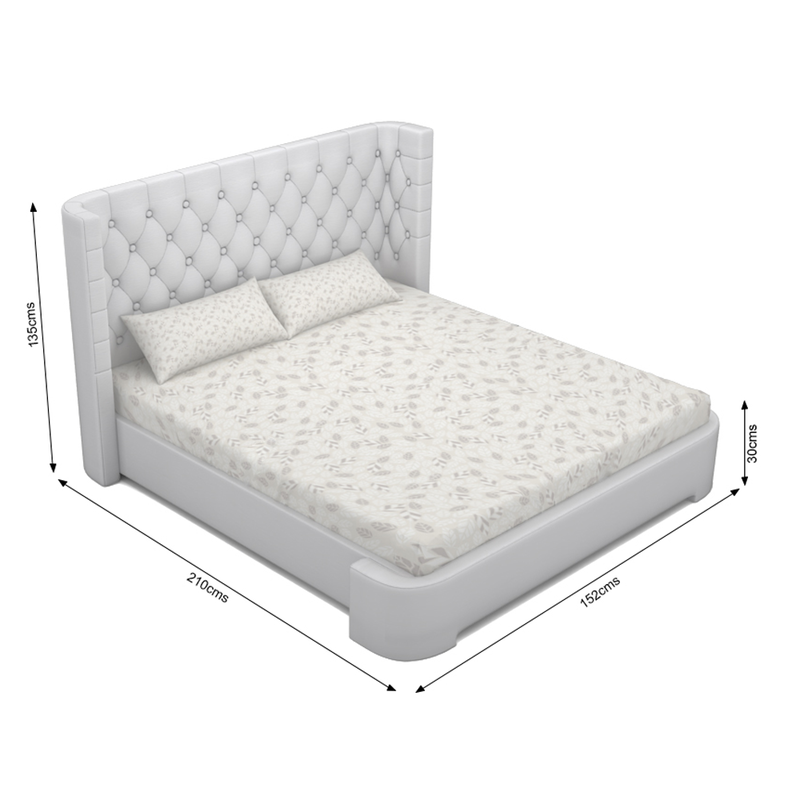 A bedroom gets a new look when we add a designer bed into it. 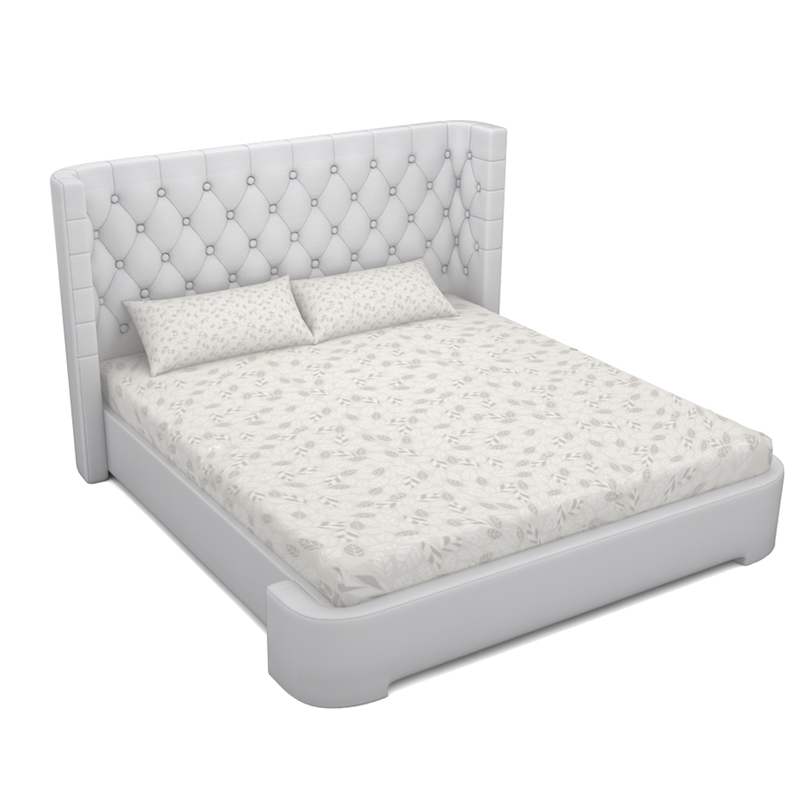 This can be done by you as well by choosing this French Ornape tufted bed, we had made available to you at an affordable price. 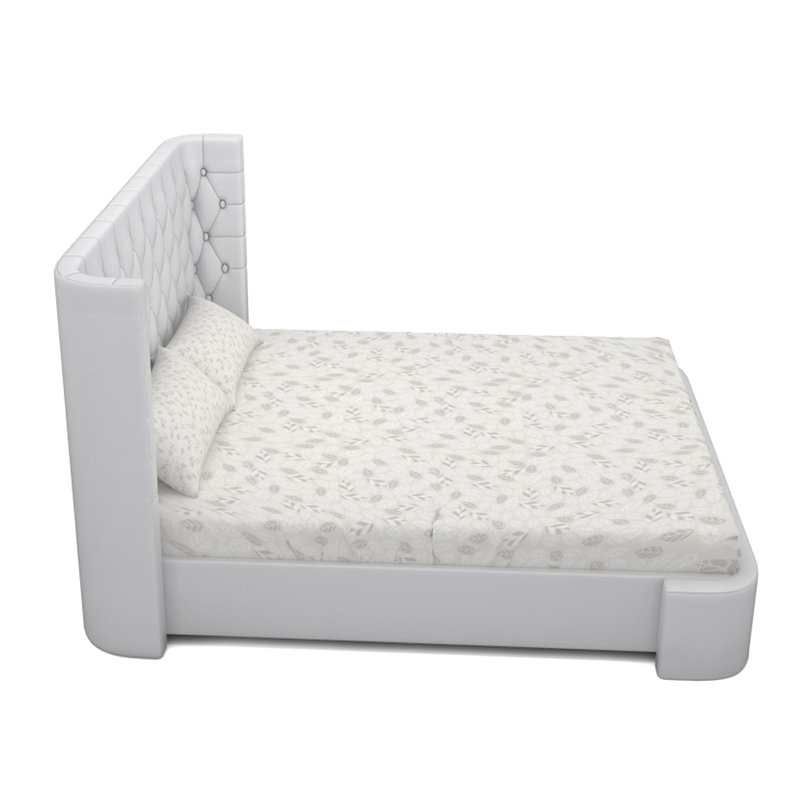 With the designer leatherette finish, this French Ornape tufted bed will adore the décor of your bedroom. 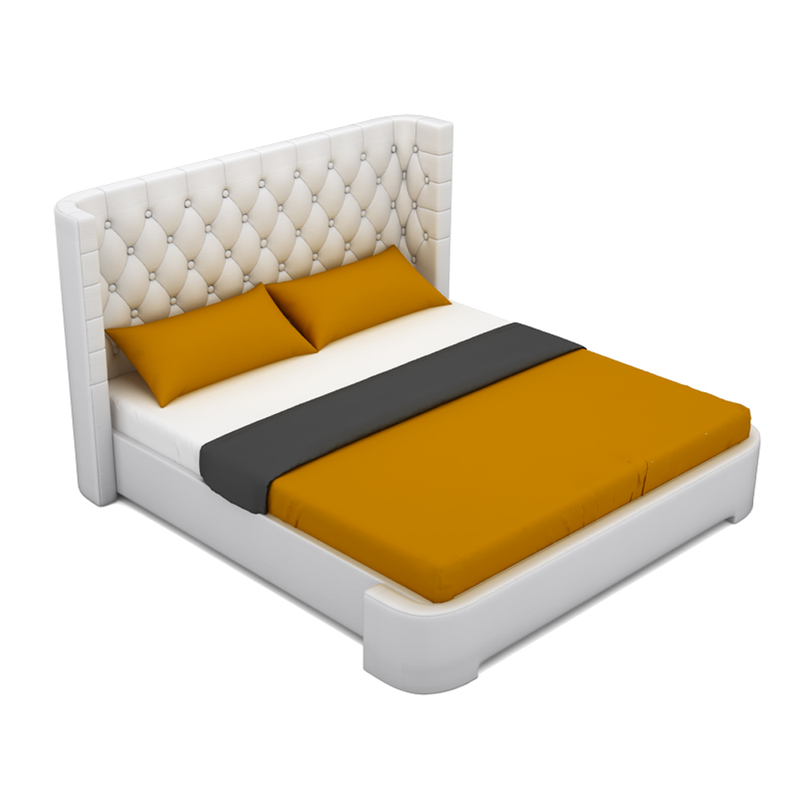 Buy this bed online to add a perfect piece of furniture in your bedroom procured with Sheesham wood frame and leatherette upholstery. 2. 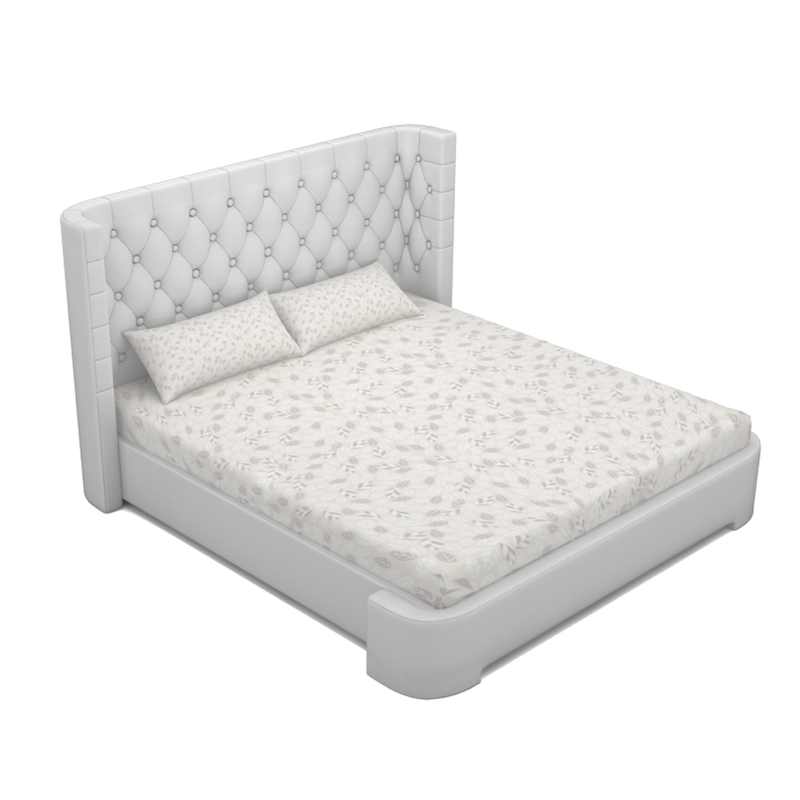 Queen bed size (L x W) : 210 x 158 cms ( 6.5 x 5.2 feet). 7. 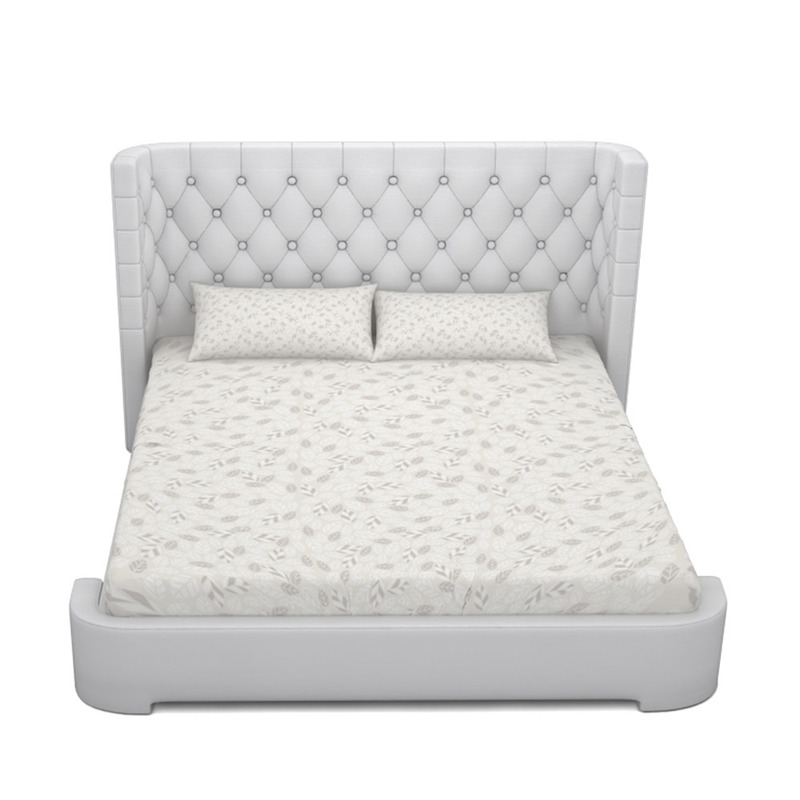 Headboard and sides are fully upholstered with high quality soft white leatherette.